Studying at NTU is excellent! The studios are open, professional workspaces which are bright and lively. 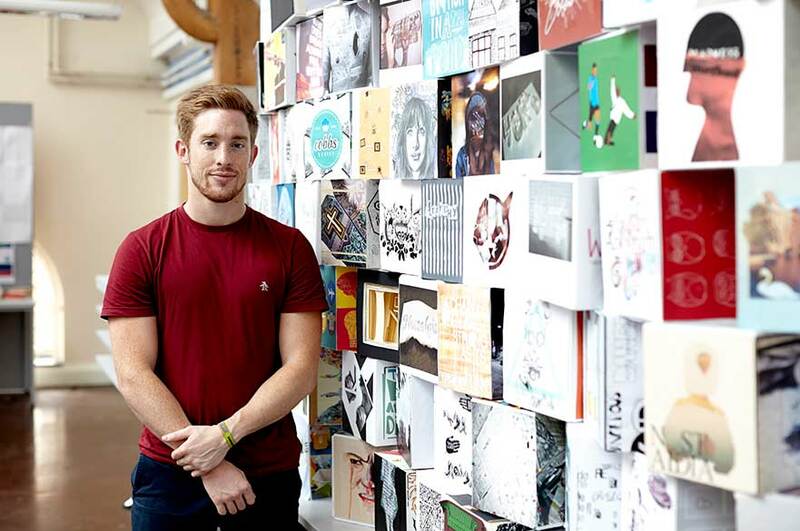 "I chose to study Graphic Design because I wanted to explore an art form that appealed to a large audience and was influential in contemporary culture yet still very cutting-edge." "One of the best things about the course are the briefs which allow you to learn the foundations of graphic design without being too narrow or over-prescriptive. Having no set rules means you can develop your own personal style right from the start." "Studying at NTU is excellent! The studios are open, professional workspaces which are bright and lively which inspire me to want to produce great work. Working alongside other students and their ideas in these facilities motivate you to work harder." Would you recommend studying at NTU? "Yes, I would definitely recommend NTU! The City site is bustling and lively with plenty going on. There is a great social life and plenty of opportunities to be proactive and get involved in new activities. Everyone on the Graphic Design course is very enthusiastic and there are a real diversity of artistic strengths around you all the time." "I've had work experience at my local university, the University of Chichester, in the Media Studies department and the Marketing and Design unit. My responsibilities included supporting staff and undergraduate students in the making of a film about university life, including sound engineering, video editing and working on industry level software and equipment. "In the Marketing and Design unit I photographed various open days for their university website and shadowed their graphic designers as they designed new prospectuses and brochures." What advice do you have for someone thinking of studying this course? "Be open-minded and don't be afraid to experiment! Experiment and develop your work in as many areas and mediums of design as you can right from the beginning. It's better to try things out even if they don't work out because you can learn a lot from experimental processes."